The significant rear addition to an existing brick single storey dwelling in Rozelle draws inspiration from the area’s industrial past to create an attractive modern family home. The project resulted in the entire renovation of the existing dwelling as well as the construction of a new kitchen and living area downstairs, with upstairs containing a mezzanine, bedroom, master bedroom, ensuite and walk in robe. The use of a laser cut screen over skylight in the stairwell creates visual interest, with a continual change of pattern cast upon the stairs throughout the day. 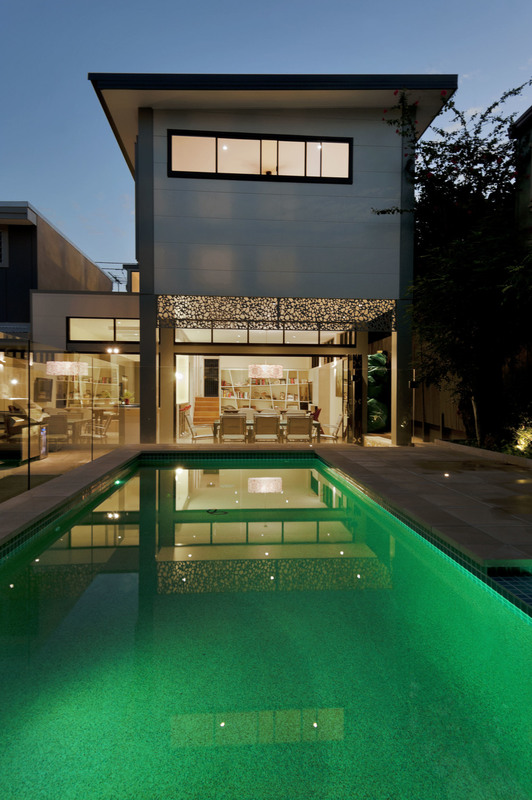 The use of laser cut screening continues to the outdoor area where it provides privacy and protection from the sun. 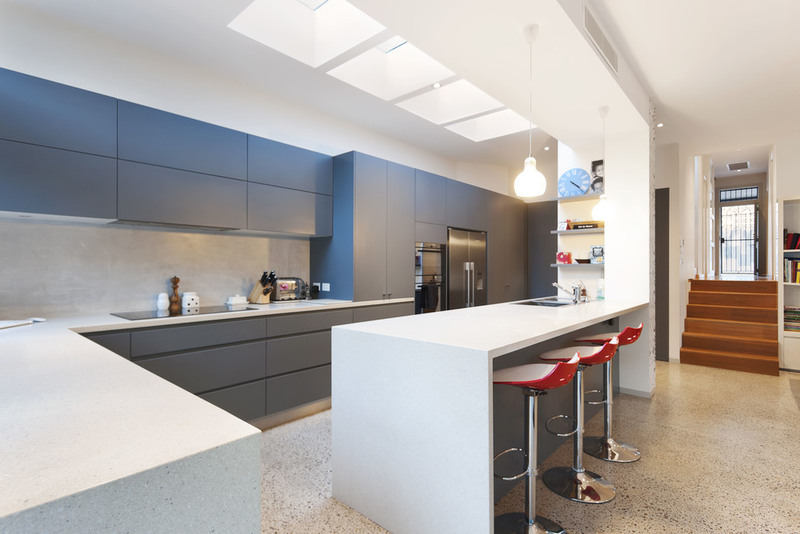 A palette of polished concrete, black aluminum framed windows and deep blue kitchen create a modern interior which contrasts with the warmth of the spotted gum flooring and careful renovation of the existing dwelling, creating a contemporary family home. 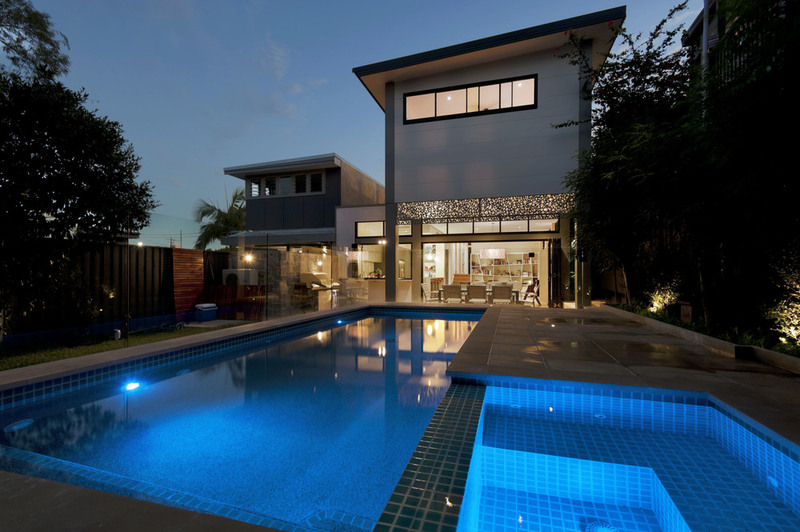 "We hired NSStudio to undertake an extensive renovation. Nathalie was very responsive to our needs and wants and creatively designed a beautiful and functional space. The budget was blown because we went for quality. Deadlines were met as best as possible given the surprises that pop up in older homes. Nathalie managed the project which made our role so easy as she maintained a respectful and joyful relationship with both us and the builders."